What happens when the honeymoon is over? Can a couple still be romantic once the initial ecstasy fades? Absolutely! In this repackaged bestseller, Zig Ziglar shows couples how a warm, loving, respectful commitment can stay-and even grow stronger-throughout the years together. His common sense approach, which includes examples from life, helpful personal anecdotes, scientific data, and provocative quizzes, will help couples keep romance alive. Six steps for "starting over"-no matter how long you've been married. Strategies to avoid the "Three A's of Divorce." Advice to revive romance and keep sexuality sizzling. Methods for painless, worry-free commitment in your home. 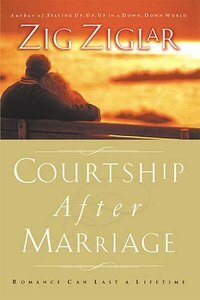 A unique sixty-six-question survey to evaluate the state of your marriage- both before and after reading this book!